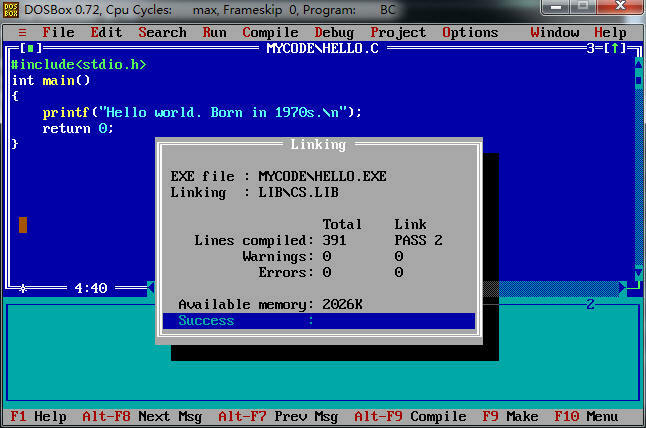 Recollection of past programming with Borland C++ 3.1. Hello world ! 1970s' people.